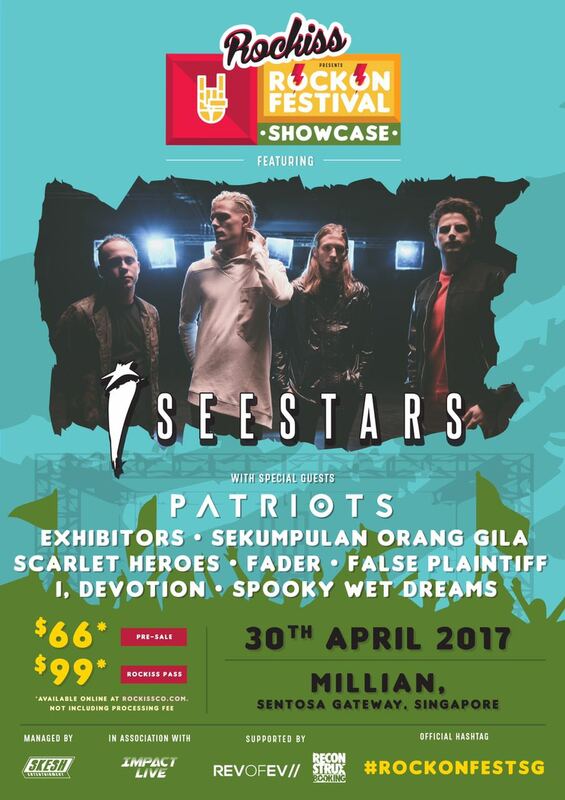 I See Stars is headlining the “Rockiss Rock On Festival” happening on 30 April 2017 at Millian Singapore at 2.00 pm (SG). Doors will open at 1.00 pm (SG). 8 other punk/rock/metal bands from Singapore and Malaysia will also play at the festival. Tickets are available for sale now and are priced at $66. There is also a “Rockiss Pass” going at $99 which includes a post show Meet & Greet for the first t0 Rockiss Pass holders, 1 x autographed poster, 1x Personalised Laminate and 1 x Limited Edition Rockiss T-shirt. As always, buy your tickets early because at the door, it will cost you $77! All prices are stated in Singapore Dollars and does not include any processing fees. Head on over to TicketBox to get your tickets now!